“Post-Impressions (VI)” was published in Tulips & Chimneys (Liveright, 1923). E. E. Cummings was born in Cambridge, Massachusetts, on October 14, 1894. His poetry collections include No Thanks (The Golden Eagle Press, 1935), W(ViVa) (Liveright, 1931), and Tulips and Chimneys (Liverlight, 1923), among others. He died on September 3, 1962, in North Conway, New Hampshire. 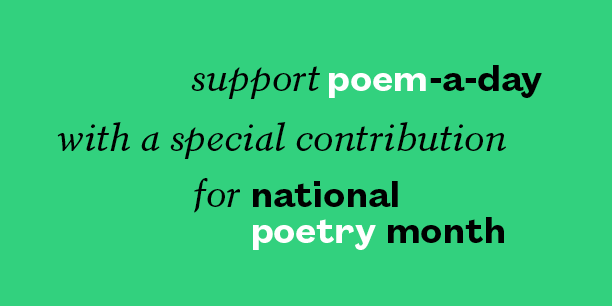 Thanks to Tracy K. Smith, poet laureate of the United States and author of Wade in the Water (Graywolf Press, 2018), who curated Poem-a-Day for this month’s weekdays. Read a Q&A with Smith about her curatorial approach this month and find out more about our guest editors for the year.